Specializing in Classical, Theory, Metal, and Shredding but also teaches any other style. catering each lesson to that particular students progress. and is currently in the process of writing some music theory books as well as recording several musical projects including his extreme metal band Prophecy Z14. 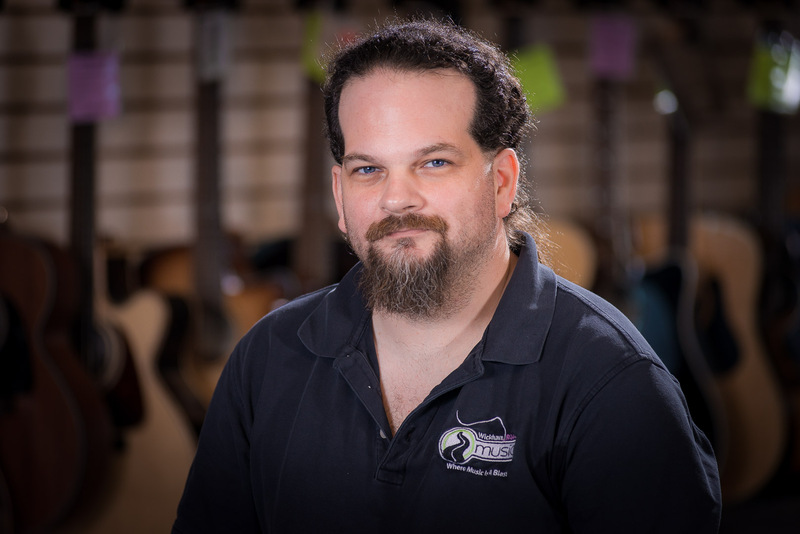 As a silver level certified guitar technician since 1996, Dan is factory trained by almost every major brand of guitar for all aspects of repair and setup. Also a recording studio designer and builder who has designed/built several local studios, as well as producing and engineering many projects. As a professional sound system designer/installer Dan has installed many sound systems in and around Brevard from small format to full concert array systems. Not one to just dabble in things or look at music as mearly a "hobby" Dan has always strived to learn all he can about every avenue of his musical lifestyle.